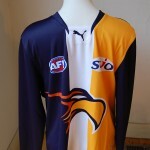 Many fans like their AFL Football Jumpers Jerseys Guernseys signed . 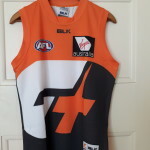 Opportunities arise for fans to have beloved guernseys signed by favourite players at family fun days, fundraisers, after game meet and greets and less often end of match celebrations. 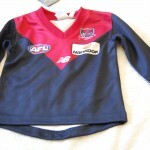 Young fans especially enjoy having their guernsey signed to wear with ride the signature and number of a favourite team member. 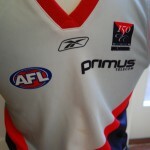 Older fans just like the cudos of having their guernsey adorned with a preferred moniker . 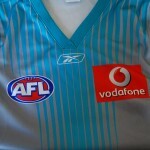 The AFL trade period has been and gone . Free agent players may still be on the market holding out for the elusive better deal. Many players have transferred to new clubs for lucrative cash deals for both them, and their new clubs. 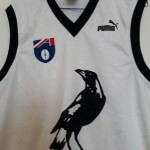 Many players have retired or been delisted by their clubs which may mean forced retirement or cause them to seek a new playing position elsewhere. Traditionally during the holiday period players marry, travel, await the impending birth of family or unwind. 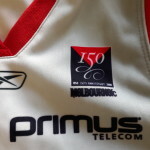 After a short rest period training starts in earnest with a focus on the 2019 AFL Season. 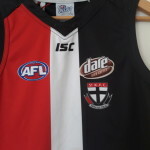 AFL Football Fans who have followed their teams throughout 2018 pause from footy following or turn their attention to other sports traditionally played in summer such as cricket. 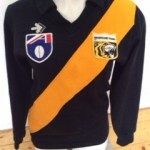 Many retire their AFL jumpers, jerseys, guernseys for the year but not all do. 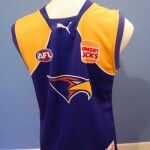 It can be seen at gyms, on the beach, out shopping, visiting relatives and playing beach volleyball. 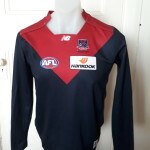 If their team has had a successful 2018 campaign the jumpers, jerseys, guernseys are displayed proudly. 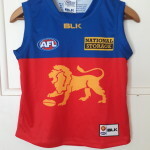 If their team has had a lacklustre season loyal fans still wear the colours proudly, perhaps eliciting a comment from other fans or those with a keen interest in Aussie Rules. 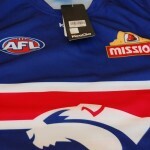 The 2019 AFL Home and Away Season will see a new round of guernseys with new sponsors but a constant is the team colours and the unfailing loyalty to those colours of the diehard AFL fan.